More than 225 men from Lenox participated in the Revolutionary War and those they left at home sacrificed as well. So there was no shortage of heroes from Lenox. However several stand out — particularly Major General John Paterson. John Paterson was born in 1744 in New Britain, CT (then called Farmington) of another John Paterson who died of yellow fever while fighting for England in the Carribean. His ancestors are said to have fled from Scotland to escape the tyranny of James II. Son John graduated at age 18 from Yale in 1762 – the same year his father died in Havana. He came home to settle his father’s estate, look after his mother and sisters and study law. He became a justice of the peace shortly after he started practicing law and supplemented his income by teaching school. He married Elizabeth Lee, also of Farmington, in 1766. This would be the first of a lifetime of civic responsibilities assumed by John Paterson in Lenox and in his future home in New York. In July 1774 he represented Lenox at the Berkshire convention to discuss the non-importation agreement and to the state government meeting in Salem under the auspices of the Committees of Correspondence — and in protest of the royal government. By April 20th, 1775, news of the Battles of Lexington and Concord had come to Lenox via express couriers who had ridden all night. Paterson and the recruits he had assembled from Lenox and the rest of the county were ready — by the next morning they were armed, equipped and on their way to Boston. They may have been responding to an earlier alarm – but they had certainly been prepared to carry out their role as Minute Men led by John Patterson. As of May 26, 1775, Paterson was able to assure the Commonwealth’s Committee of Safety that his Berkshire County regiment had 496 men and was actually in the field. On June 15, 1775 Colonel Paterson’s regiment was transferred from Minute Man (militia) status to the Continental Army for an eight month enlistment. Paterson would serve, with only a brief furlough, until 1783. By now a Major General, John Paterson went back into military service in 1786 to aide in the suppression of Shay’s Rebellion. In 1790 became one of the proprietors of the “Boston Purchase” which consisted of 230,400 acres in what is now Broome and Tioga counties in New York. He continued his pattern of service in his new home including serving as US Congressmen from 1803 to 1805. 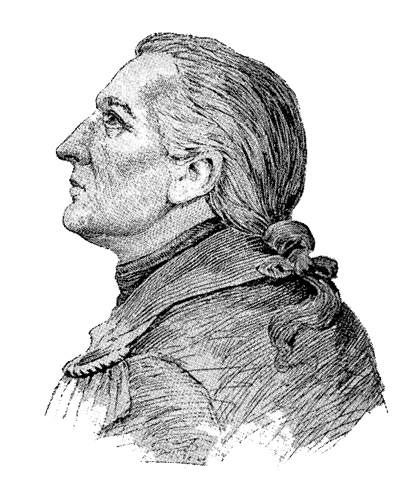 He died in Lisle, New York in 1808, age 64. 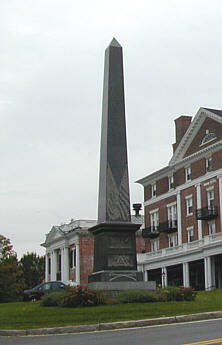 His great grandson Thomas Egleston led an effort to have him re-interred in Lenox and had memorials erected in his honor in the form of a plaque in Trinity Church and a monument in the center of Lenox. Certainly a leading example of an astonishing generation. My lineage shows that Private Lewis Demaranville of Freetown followed Maj. Gen. Patterson to Valley Forge as he was in the 10th Mass Regiment. Lewis was also at Roxbury and Bennington. Perhaps it was at Momouth that he was wounded in battle and lost both arms, however he still lived to be 110!